Hot off the heels of our recently closed $2.1m seed round from US and Canadian investors, we’re proud to announce our win at the HR Tech Summit’s Tech Den. 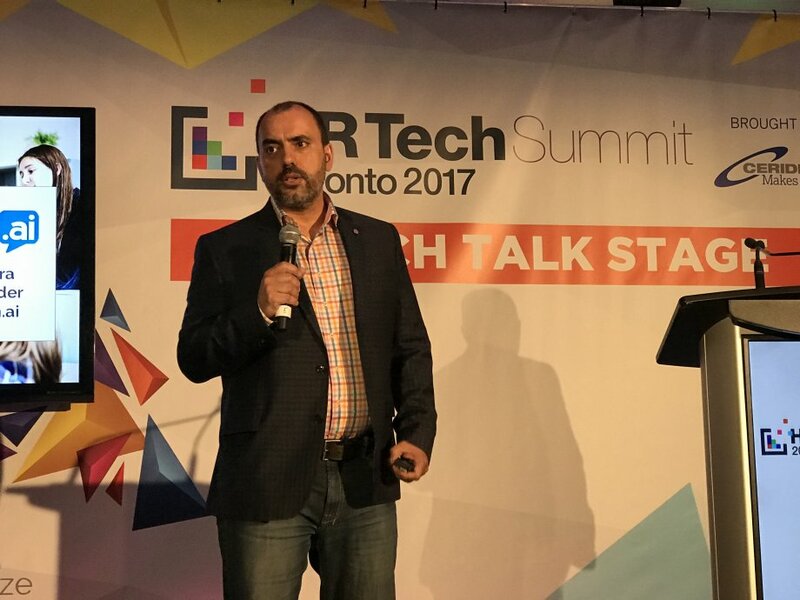 This past week, the Zoom.ai team was one of five startups to pitch at the HR Tech Summit. Pitching to a panel of judges, finalists competed in hopes of winning the grand prize: a $20,000 marketing campaign from Key Media and an opportunity to secure funding from investors in attendance. After pitching to a panel of 4 judges, Zoom.ai took home the grand prize by scoring highly with the judges for the ability to provide process automation to business operations using Artificial Intelligence and Machine Learning through a chat interface.The HR Tech Summit Toronto is hosted by Key Media, the publishers of HRD Magazine and HRM Online. Zoom.ai was thankful for the opportunity to pitch alongside other innovative tech solutions. Interested in learning about the Zoom.ai story? Read all about our journey here.